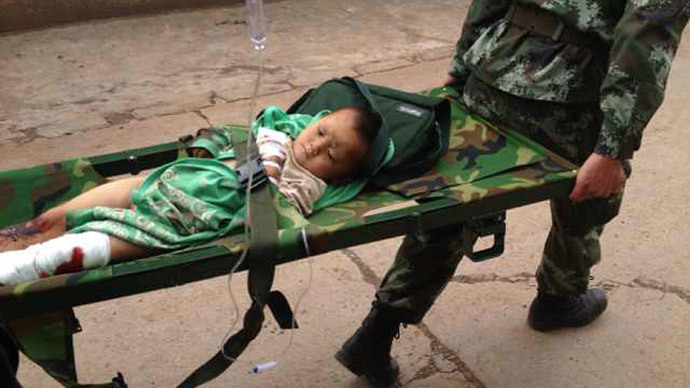 The death toll keeps rising after an earthquake measuring from 6.1 to 6.5, according to different estimates, hit China’s southwestern Yunnan province. The latest number of dead is nearing 600 while the number of injured is over 2,400 people. At least 589 people have died in an earthquake that devastated a Chinese village, officials said on Wednesday, marking a sharp increase in the death toll. "As of 10.30 on Wednesday... 589 people have died" after Sunday's magnitude 6.1 tremor in the southwestern province of Yunnan, China's ministry of civil affairs said on its website. Chinese Premier Li Keqiang has arrived in Zhaotong, Yunnan province, after a powerful earthquake rattled the southwestern city on Sunday. He pledged a "door-to-door" search would continue for at least two days to treat the injured and locate the missing. "We have to grab every opportunity of rescue to reduce the casualty… We must put people's lives first," Li said. The overall death toll in China earthquake has reached 379, BNO News reports citing local authorities. The majority of the dead were from Ludian County, which Chinese state television said was at the epicenter of the quake. 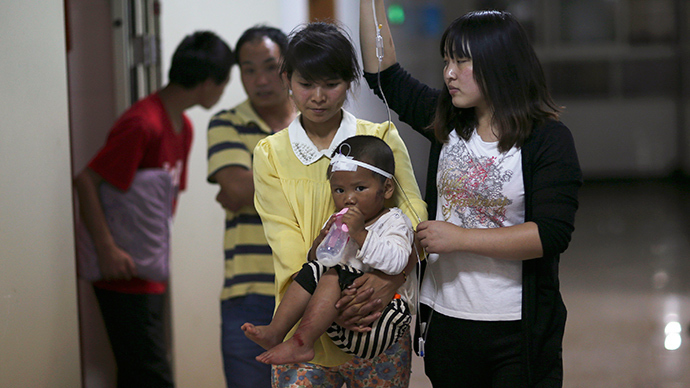 Ludian authorities said at least 296 people were killed in their jurisdiction. The quake also caused serious damage in Qiaojia County, where another 60 people were killed according to China’s Civil Affairs Ministry. Ten more people reportedly died in Huize County. UN Secretary-General Ban Ki-moon said that the world body stands ready to help respond to any humanitarian needs created by the earthquake. “He offers his condolences to the Chinese government and the families of those killed, and his deepest sympathies to those who were injured or otherwise affected in this disaster,” the statement, released by his office adds. The United States offered “sincere condolences” to family of victims of the earthquake in southwestern China, White House National Security Council Deputy Spokeswoman Bernadette Meehan said in a statement.